SINGAPORE, -- The United States Navy plans to have four Littoral Combat Ships (LCS) operating out of Singapore - one at a time - by 2018. These LCS vessels are smaller-sized than destroyers, and are capable of quick operations in shallow waters close to shore such as the waters of South-east Asia, the navy said on Tuesday (Feb 17). 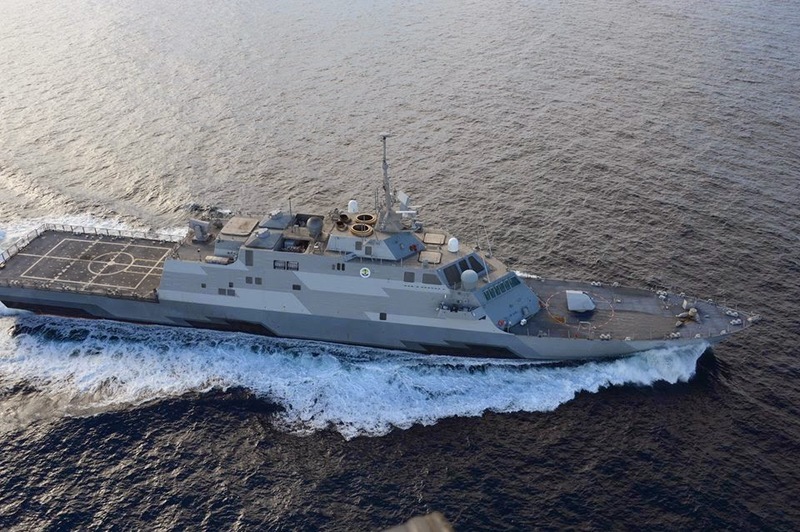 The announcement was made as the LCS USS Fort Worth returned to Singapore for maintenance and a crew swap, after operations including a deployment as part of multinational search-and-rescue efforts for AirAsia flight QZ8501. Singapore is the ship's primary logistics hub in South-east Asia, and the USS Fort Worth is currently the only LCS operating out of Singapore. Part of the US Navy's 7th Fleet, which operates in the Asia Pacific, the USS Fort Worth will also be participating in regional exercises such as the annual Foal Eagle exercise with the South Korean navy. Asked about the role and intentions of the US Navy in the region, Commander of Task Force 73 Rear-Admiral Charles Williams said its presence was about maintaining relationships with partners and allies in South-east Asia and the wider Asia Pacific region. On China's growing presence and assertiveness in the region, the Commander said he "doesn't think of China as a shadow over the region". "I think of it (China) as another Asia Pacific nation that operates throughout the region, just as we do," Rear-Admiral Williams said. "Our partnerships in the region are built towards consistent desire and work towards increasing maritime security and the security of our region." The US Navy said the ship may be deployed across the entire Asia Pacific region in the 7th Fleet's sphere of operations, but will spend the majority of its time in South-east Asia to participate in multinational exercises like Exercise Cooperation Afloat Readiness and Training with ASEAN nations. The USS Fort Worth (LCS-3) is a Freedom-class littoral combat ship of the United States Navy.